Learn the different types of notifications and how you can benefit from using them. 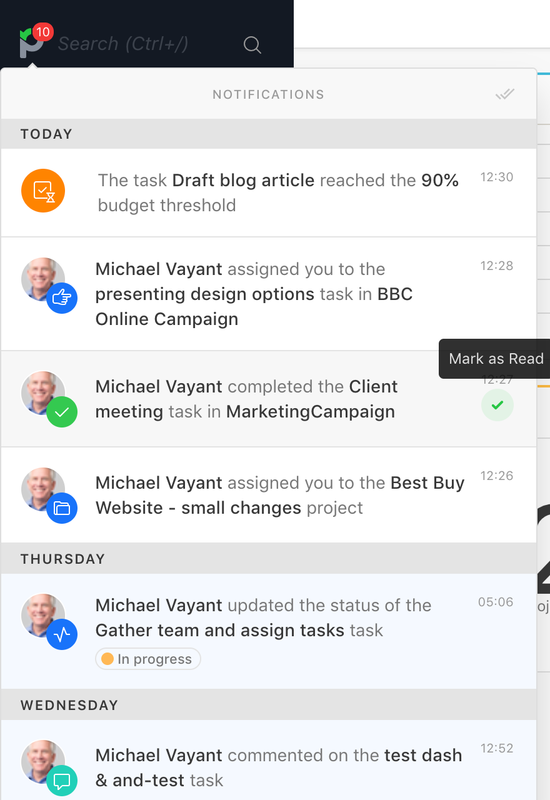 Besides the email notifications which you can set in the Project settings area of a project, you will also receive in app notifications in the top left corner. This saves time because you don't have to go to your inbox in order to see updates about tasks, projects, files etc. If you wish to mark them as read you need to hover over the desired notification and click on the Mark as read checkbox on the right or Mark all as read on the top.